Talk of failing schools or American school kids who can’t compete with their Asian and European counterparts tends to revolve around the figure of the teacher—usually not a particular teacher, but teachers in the abstract. What are they doing wrong? How can they be motivated to do better? Are they even capable of doing better? If not, is it possible to replace them with those more suited to the task? 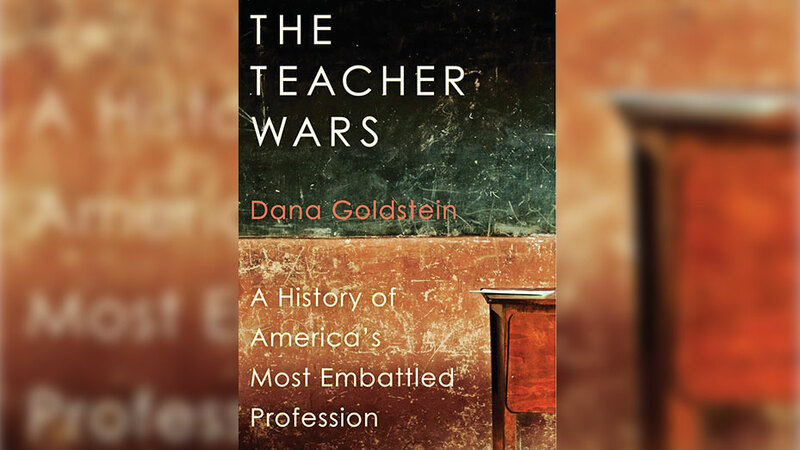 Dana Goldstein’s book, The Teacher Wars: A History of America’s Most Embattled Profession, demonstrates that when we talk about our expectations for teachers, we place unwarranted stress on their role in producing highly achieving students. In doing so, we obscure the matter—highly achieving students are most often the products of socially and economically secure families who place importance on their children’s education. Goldstein identifies two reductive types often projected onto the teacher – one positive, the other negative: first, that of the tireless and humble servant of the people, whose charge, the nation’s impoverished children, must be raised from the trappings of their conditions into a better, more productive life; and second, that of the incompetent, overpaid and selfish leech on a broken system. Whereas the former is a child’s one best hope for a better life, the latter is an obstacle to it. These are the types invoked when we talk about accountability and fixing schools. Both are exaggerations, designed to obscure a political subtext. Goldstein provides a more nuanced portrait of the figure of the teacher by tracing her evolution throughout the nation’s most tumultuous periods. Early reformers Catherine Beecher and Horace Mann envisioned secular education as an alternative to their own Calvinist upbringing. The Calvinist creed of the soul’s predestined salvation or damnation was revised by the insistence of secular education that self-improvement through education is its own brand of salvation. Even the most deprived individual should have the opportunity to improve his earthly lot. As Goldstein shows, the progressive force of Beecher and Mann’s vision contained a moral kernel. The centerpiece of the curriculum would not be the customary Western European liberal arts fare, but the “care of the physical, social, and moral interests,” as Beecher put it in her autobiography. Beecher and Mann, while sloughing their Puritan skin, disclosed an even deeper core of Puritanism. In doing so, they helped create the illusion of the school as a secular church, responsible for making “faithful, decent, socially adept young men and women.” School as a panacea for social ills. At the start, expectations for schools were impossibly high. Mann, the US’s first state secretary of education, envisioned a nationwide education system that would compete with Prussian institutions, at the time considered the standard of excellence. However, limited by budget restraints (a common theme in Teacher Wars), he came up with a plan to open training schools to female applicants only, who would not have to be paid as much as their male counterparts. Mann and Beecher imagined that women were a better fit for their mission not only because of the relative cheapness, but also because women were perceived as less ambitious, less intelligent, and so more suited for such a humble role. It was not likely then, the thinking went, that women would chaff against the conditions of a mid 19th century schoolroom. However, black schools faced the immediate threat of violence and the long term threat of underfunding. Underfunded, overcrowded schools had difficulty retaining talented and ambitious teachers, who often went North, where their prospects improved. (Teacher retention, writes Goldstein, is a proven means of ensuring a school’s success.) Such was the case of Anne Cooper, who, although born a slave, received a “rigorous classical education” at the Collegiate Institute in Raleigh, and went on to become a member of the North Carolina Teacher’s Association, advocating for equal pay for black teachers and equal funding for black schools. When North Carolina disenfranchised black voters (poll taxes, literacy tests), Cooper headed North, where she was hired to teach Latin at M Street High School in Washington, DC, which Goldstein calls “the most prestigious black public school in the United States.” She taught there for 19 years until ousted in a manufactured scandal by white school board members. Beecher and Mann, along with Anthony and Cooper, provide Goldstein with three very different portraits of 19th-century educators. What unifies them is their use the promise of education to respond to a particular injustice: Beecher and Mann to the outsized role of religion in an ostensibly democratic society, Anthony to the subordinate position of the female, and Cooper to the lack of opportunity and outright racism in the US following the Civil War. By the early 20th century, Margaret Haley, leader of the Chicago Teachers Federation (the nation’s first teachers-only union) had led the charge to affiliate with the Chicago Federation of Labor, a male working-class union. Haley recognized that the union’s influence would help her and her sisters in the fight for higher wages and for the right to vote—a necessity if the largely female occupied profession was to come to have an important political voice. In response to progressive victories in women’s rights and worker’s rights, the business, political, and media elites closed ranks in favor of a system in which the well-off would get a traditional education, while the not-so-well-off would get vocational training. The new educational ideology was inspired by Taylorism (itself designed to increase production in factories), and centered on student evaluations, teacher ratings, and power amassed in the figure of the manager-principal. Teachers unions, which favored the option of a liberal arts education for all, were met with resistance by advocates of the tiered educational model. The vocational model had the aim of shunting minorities and poor whites into careers in which administrators believed they’d be more likely to excel. The anti-democratic vocational model trades the promise of social progress for social engineering. The early 20th century shift to vocation driven curriculum for the lower classes is mirrored in the late 20th century shift to testing. Both limit the scope of instruction and, in doing so, remove power from teachers’ hands and place it into the hands of administrators. The push for top-down management and high-stakes IQ testing in the 1920s is the direct predecessor of today’s privatization movement. Value-added measurement [VAM] is the modern incarnation of the idea that a child’s performance on a standardized test is an accurate reflection of a teacher’s effectiveness. It is used in conjunction with testing to measure a child’s progress along with the teacher’s ability to influence it. In its simplest form, VAM uses a child’s standardized test score at the end of one year to predict his or her score on the next year’s exam. If the child does worse than expected, the difference is subtracted from the teacher’s value-added rating; if the child does better, the teacher’s rating improves by that margin. Goldstein notes that proponents of VAM used it to make claims inconsistent with its methodological limits. The measure rends teachers from their context and proposes that replacing them with a series of better teachers will bring about significant leaps in percentile rank. That shaky hypothesis brought about a seismic shift in the political discussion surrounding our expectations of teachers. 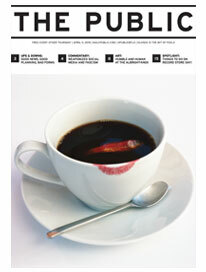 In the wake of these highly touted changes, came a host of unexpected consequences: a substantial increase of school time spent test prepping and test taking; the use of tests in subjects—like art, music and gym—that had previously judged performance by more appropriate means; the resignation of talented and ambitious teachers frustrated by the new mandates; and, the outright manipulation of tests by administrators. Cheating, once the provenance of cavalier students, had become the specialty of staff. It’s a system that is designed to be gamed. The sorry fate of merit pay programs—attempted first during the accountability craze of the 1980s—repeated itself; and, after two years of data had been gathered, the most vocal supporters of Race to the Top and VAM had been chastened by the lack of measurable data to uphold their previously bold claims. Throughout her book, Goldstein reports that an improvement in the prestige (measured in pay, job security, and the social standing of the profession) of teaching as a profession is accompanied by an improvement in the quality of education kids receive. Yet, she acknowledges, at the same time, unions, the best advocates for proven means of improving teacher prestige came out of the 20th century looking worse than going into it. There’s little unions can do to effect the larger political mood of the country, but Goldstein argues that they suffer more in the public eye for a lack of transparency. Bad teachers are protected by a system that is designed to shuffle them rather than discard them (union members should direct themselves to her chapter titled “Union Teachers Versus Black Power During the Era of Community Control” for a hard look at their past failures). Nevertheless, Goldstein finds that the answer is not to dump unions, which have consistently fought for the dignity and prestige of the profession, but to recognize the job of teachers as one important variable influencing a child’s educational outcome, and to invest in them accordingly. Goldstein makes two policy recommendations for improving student outcomes and the relationship of teachers to the larger community: 1) higher pay for teachers is “absolutely associated with better student outcomes,” and “we must take this evidence seriously, because we are not paying teachers the upper-middle class salary that would align with our sky-high expectations for their work”; and 2) that “tenure cannot mean, in practice, that it is prohibitively expensive for a district to fire a bad teacher.” Proponents of publicly funded/privately operated charter schools have exploited unions’ inability to address this second point by doing away with job protections for their employees. In doing so, the second objective is achieved, while the first is dashed. A serious conversation about improving schools would start by talking about investment in teachers with the expectation of union transparency and collaboration with the community. When we talk about charter schools, we’re really talking about our unreasonable expectations for teachers. Like Beecher and Mann, we want them to be saints, working with a religious zeal for a pittance. Of course, we aver—with no sense of our own knack for self-contradiction—if the better teachers prove more effective, then their pay shall reflect it. When we talk about accountability, we’re really talking about making our current crop of teachers pay for the city’s systemic economic failure. The notion of accountability may have been engendered to well-meaning ends, but too often it’s employed as a means for deflecting blame. “Someone’s got to be held accountable,” says the man who expects stock to be taken in all corners but his. History doesn’t give us a simple checklist complete with boxes to be ticked in order to ensure we’re moving in the right direction, but it does present us with models of success and models of failure. More importantly, it reminds us how a noble cause looks in comparison with a base cause.